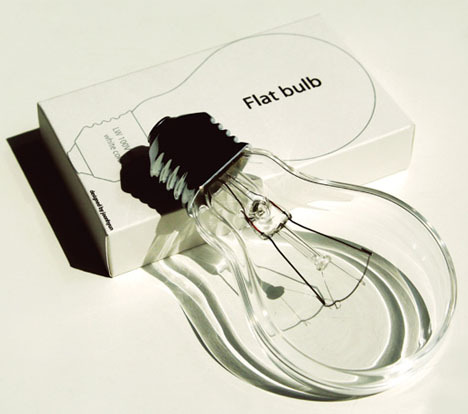 From incandescent to fluorescent to the latest LED fad, there are light bulbs that span the spectrum from long-lasting to energy-saving, but one designer has taken a step back and addressed a basic problem of the universal classic: the pear-shaped light bulb we all know and love. 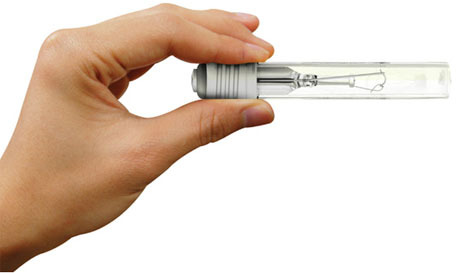 By slimming the sides (a conceptual ’slice’ of one third on either side of the center), this skinny bulb takes up far less space inside the package, thus saving energy in a different way by reducing transportation requirements. 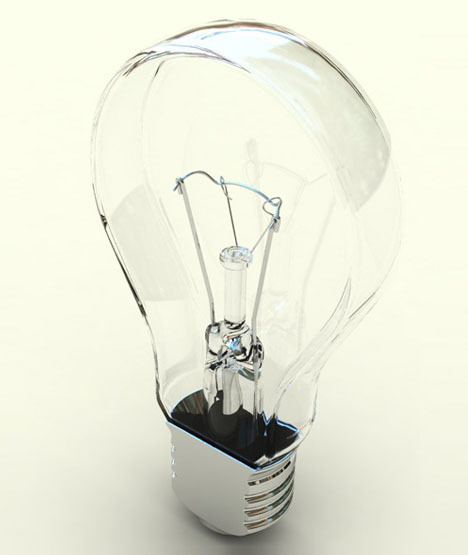 Not since the invention of the classic round bulb has someone thought to so fundamentally change the shape of this object, innovating our basic means of lighting but also making it more compact, efficient, thin, portable, stackable and difficult to break.